Discussion in 'Site Announcements' started by sothis, Dec 19, 2017. Plan on watching anime this year, or reading manga? Ever wanted a way to easily show what you plan to watch next season? Do you love participating in yearly challenges on sites like Goodreads? 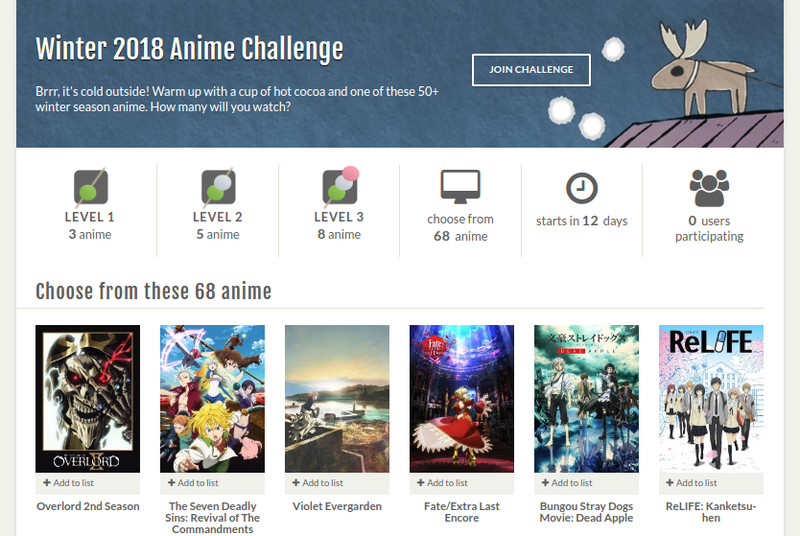 Today, we're announcing Anime-Planet's community challenges, a fun way for you to track what you're watching and to compete with your friends. 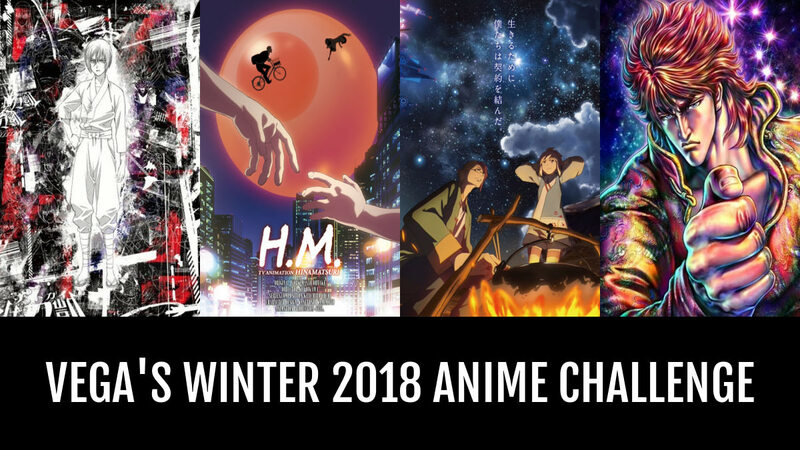 For tracking what you're watching this Winter 2018 anime season. Anything listed on the season chart part counts for this challenge. This is the equivalent of the Goodreads reading challenge, but for anime. For tracking any anime you watch in this calendar year. For tracking any manga you read in this calendar year. Anything in the manga database counts - light novels, web novels, manhua, manhwa, etc. 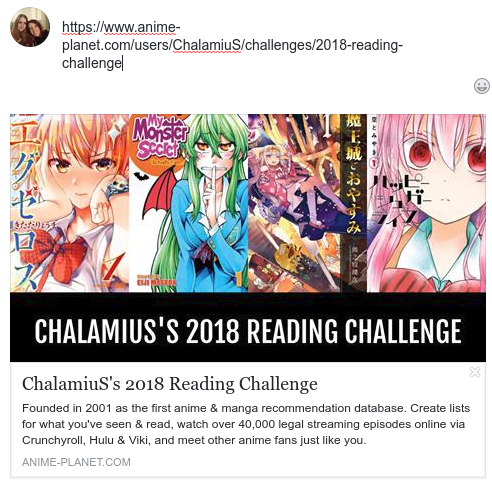 We plan to launch monthly challenges for both anime and manga within a few months, which will replace the Monthly Marathon effort that's been going on in the forum for years. We also hope to roll out user-created challenges sometime in the future. There are different "levels" for each challenge. Level 1 is meant to be accessible and attainable for anyone, including casual fans. Levels 2 and 3 are meant to be more of a challenge, but are still attainable if you try your best. At each level, you get another dango, leading to a full dango at level 3! 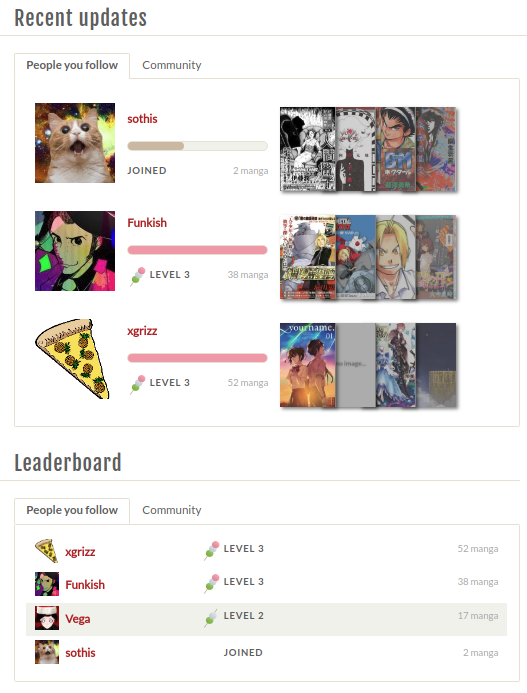 When looking at your own challenge page, you can see how many anime or manga you have left to hit the next level. On anyone's challenge page, you'll see faceoff information comparing your scores, and you can follow someone from their challenge page. Leaderboards and recent update sections on challenge pages show both a "People you follow" and "Community" tab, defaulting to people you follow, to easily compare. Once you hit level 3, your total anime or manga will still increase, and people with the highest total will be at the top. If you don't follow anyone, the "People you follow" tab won't appear. These banners will appear automatically as a preview on sites like Twitter or Facebook. So the next time someone asks you 'what do you plan to watch in [x season]? ', feel free to link them to your shiny new challenge landing page. Note that these images are cached after they're first accessed, so if you plan to share your challenge, make sure to mark things as want to watch *before* you share it for the first time. Note that these banners are also set up for custom lists right now, and we plan to roll them out for other pages on the site as well (like your personal/primary anime and manga lists, tag pages, etc). The challenge levels are too (easy/hard)! Can you change them? Levels vary per challenge. We came up with the current values based on long conversations with the beta testers, with the goal of making these accessible to everyone but still challenging. We don't have current plans to roll out "special hard" challenges or customizable levels, but we'll be evaluating user progress/feedback to see if the yearly numbers need to be adjusted in the next month. For seasonal challenges, we'll iterate. For example, if everyone unanimously clears level 3 we'll look at increasing it in the Spring challenge. Do multi-cour series count towards seasonal challenges? Yes and no. Each challenge page will show a list of which titles are applicable. For seasons, this means anything marked on the season chart (which, by design, is 'it starts that season'). We're still figuring out how to deal with series that end up being longer than 1 season - we might snapshot 'total episodes available' on the end date and compare with what you've watched. We'll announce when we have a solution for this. Do imports count towards the challenge? No. This is a hard problem to solve, as import data isn't consistent between sites, and because of the way we store import data. Currently, anything you import as status 'watched' or 'read' will never count towards a challenge, so if you plan to migrate to A-P, import your list before Jan 1 when the challenges start. We're looking into if we can make this work with a manual step, such as removing/re-adding something after you import it. Do rewatches count towards the challenges? Not currently. We're looking into if this is possible in the future. Please report any bugs in the bug forum, NOT in this thread, so that developers can get the information asap. We'll be monitoring performance closely, as well as fixing any bugs that get reported. We're also working on launch features that couldn't quite make it in on time, like forum discussion posts (similar to on anime/manga entries) on the challenge pages, challenges in the feed, and other things. We'll also start working on getting monthly challenges up and running. Anime-Planet is a big site developed by a handful of unpaid volunteers, because we love anime and the community. We rely on the minimal ads we have on the site, and donations, to cover the hefty monthly cost of the servers and other things needed to keep the site running. If you love the challenges feature, or the site in general, consider supporting Anime-Planet by making a donation to help cover server costs, as well as adding an exception for anime-planet.com to your adblock programs. MwrulesC, Mpegforever, hellhammer6789 and 19 others like this. Alebord, Rastamepas, Naga and 4 others like this. Really great idea. Now I'll be able to feel more accomplished while wasting my life watching anime! FijiJay, smashleyhulk, frankstleBilly and 6 others like this. smashleyhulk, Mpegforever, FaeQueen and 1 other person like this. Time to publicly show how much of my year i waste to everyone, Cant wait! Spoiler: Free Pizza for all! 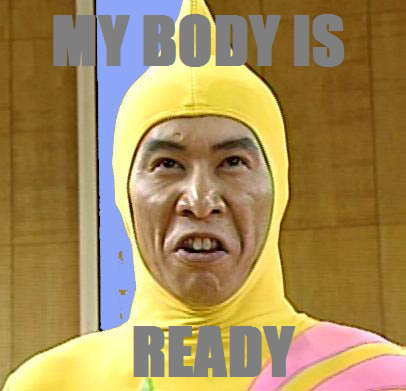 xCanaxCherry, Mpegforever, CaptainSlow and 5 others like this. Damn it @xGrizz, I almost starved to get this thing out and now you post pizza? Mpegforever, FaeQueen and TurkeyGami like this. 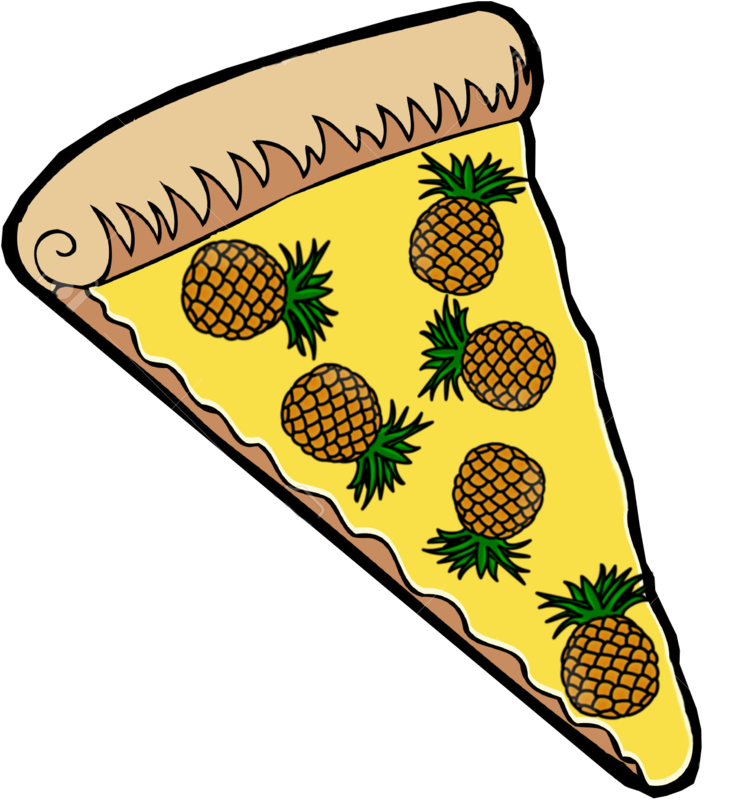 One slice for @ChalamiuS... oh im out of pizza..
FaeQueen and TurkeyGami like this. I like the idea, but I do have one question.. I looked at the thing for the 2018 Anime Watching Challenge, where it said someone alredy had 2 anime on their thing( aka closer to the first dango).. but no matter what I watched(or, "watched, as I only added them to check it), it wouldn't count towards mine, even though I checked with an anime the other person had also watched.. I know th challenge starts in 12 days but it makes me wonder why other people could get it to work now, then? I know th challenge starts in 12 days but it makes me wonder why other people could get it to work now, then? That's from us developers testing it before it went live. I'll be resetting that later today. ah okay, thanks for explaining! This right here had me cracking up. I can empathize. Inu230 and TurkeyGami like this. This is a wonderful idea!! I am already planning to watch over 30 new anime next year as it is so that one is easy. I am also challenging myself to watch anime on my to watch list next year as well. That challenge may be a little difficult to accomplish but nothing ventured, nothing gained. The only downside is that it will become clear how much time I use on anime... But I regret nothing. YariMari and FaeQueen like this. Trying to get a head start by marking things watched before the challenge starts is detrimental to your progress. Things marked watched before the start of the challenge will not count towards your progress. I dedicate most of my anime time to new anime and if I ever have down time to spare, I watch older anime. Trying to get a head start by marking things watched before the challenge starts is detrimental to your progress, things marked before the start of the challenge will not count towards your progress. This is good to know!! Time to remove all of them from my want to watch and right them down on paper. Time to remove all of them from my want to watch and right them down on paper. Note how I said "watched", want to watch is perfectly fine. Now I feel silly... Thank you for correcting me.